RETURNING HER VERDICT today Judge Heather Hallet ruled that no organisational failings led to the deaths of 52 people on the London transport system on 7 July 2005. The delay in the response of the emergency services could not have had any impact on any of the deaths but Judge Hallett did criticise some of the lapses in the actions of the emergency services, recommending improvements. She also delivered sharp criticism of the security service MI5′s handling of intelligence, a rare rebuke for the organisation, according to The Times (subscription). Her verdict can be read in full here. I think this report must compel (UK Home Secretary) Teresa May to review the whole security service in this country, not just MI5. Not all families believed the delay in the emergency services arriving was not a contributory factor to the deaths of their loved ones. You cannot say to me specifically that Carrie died of blast lung injury. She may have died from other injuries: loss of blood. That opens up a can of worms. We know there were 17 victims, 17 loved ones who were probably still alive, in Carrie’s case 25 minutes afterwards. She might not have been saved, but she should have had the chance. Some accepted the verdict but could not excuse the late arrival of emergency services. Some of the emergency services, if they call themselves the best in the world… I don’t know who the second best are; I wouldn’t like to deal with them. The families were also angered by the lack of help given to them during the inquest including the cancelling of legal aid and a lack of transport funds for families to get to the inquests. Foulkes said he felt let down by how he had been treated in this regard. In relation to intelligence there was plenty of criticism reserved in the inquest verdict for MI5 and more pertinently perhaps Judge Hallett said that she did not believe MI5 had made every possible improvement since 7/7. Speaking about intelligence that was known prior to the attacks, the Guardian reports that she criticised MI5 for sending an ill-cropped black and white photo of one of the bombers – Shehzad Tanweer – to US authorities to show to an intelligence source. This was despite a full colour copy of a photo featuring Tanweer and 7/7 ringleader Mohammed Sidique Khan being available to them having been taken a year earlier. She described the images as ” dreadful” and called for a better procedures in relation to this. These were among nine recommendations made that The Telegraph has published in full. In a press conference, after the verdict, Graham Foulkes also called for an independent public inquiry with “a much broader scope and a much broader remit” than the inquest, something Judge Hallett rejected calls for in her verdict. She also said that the inquests into the deaths of the four bombers should not resume. Foulkes also called for an apology saying he just wanted someone to be “man enough” and apologise for what had happened. 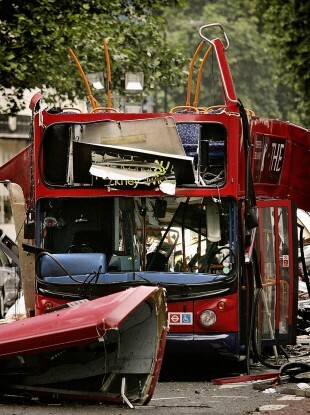 Email “Calls for review of UK security services as families react to 7/7 inquest verdict ”. Feedback on “Calls for review of UK security services as families react to 7/7 inquest verdict ”.